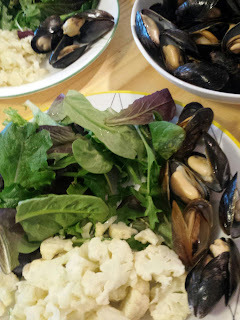 I think mussels are a great seafood to eat, and if you live near saltwater they are probably in your diet already but for those of us that are landlocked it is not such a common thing. 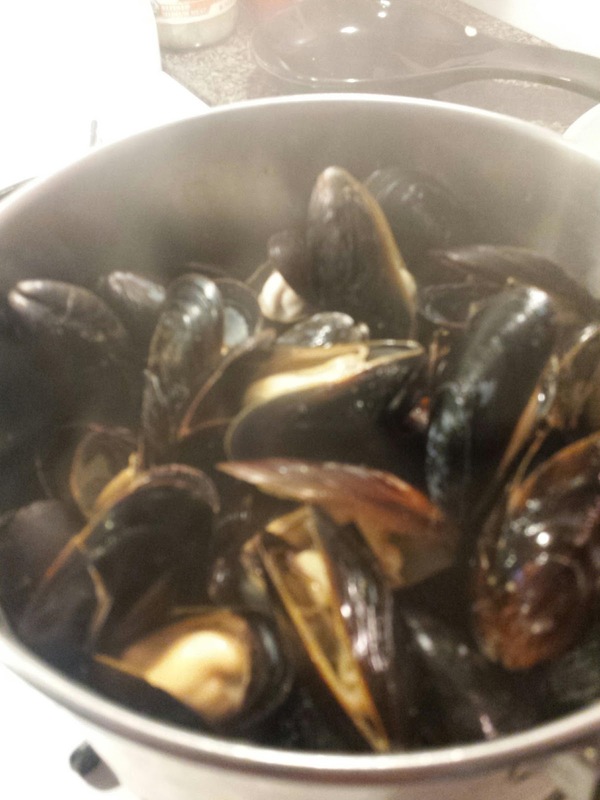 I live in Chicago which is right on Lake Michigan but that's not where I get my mussels. Mind you there are eatable freshwater mussels in Illinois' rivers and it is on my radar to find and harvest a few, but this post is about the mussels that are farmed as well as being so abundant in the worlds oceans. Being in Chicago the mussels that I get are going to already be dead, this is not as desirable as the alternative, them being alive. The fact that they are dead already means we have lost freshness and we need to be real careful with cracked or broken shells. 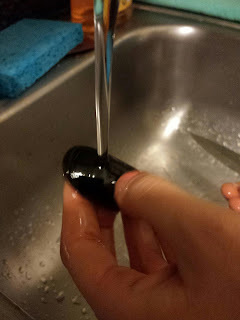 There is also a lot of writing about being a bit of a stickler when it comes to shells that are open also, and if I was worried about food borne illness I would. The fact is, because I am on the Wahls Paleo Plus diet, and eat a lot of lacto-fermented vegetables, I don't feel like I am susceptible to a whole lot of food borne illness. If you are not as confident in your system you may want to toss cracked shells as well as the ones that are slightly ajar. I go through them and clean them a bit, pulling their beards and rubbing off any barnacles under running water. This is the most time consuming part of the whole cooking process for these little buggers because once this is done all you have to do is bring a cup of water in a pot on the stove to a boil and dump them in. The cup of boiling water will cook this whole batch, just cover and let them do what they will do, You are going to know when they are ready because they will open up, give them a little stirring after 8 or 10 minutes and see if any are still sealed shut, if not they are ready to eat. If you find one that won't open, take the hint and toss it, if it doesn't want to open we don't need to force it. A lot of people think that seafood like this is rubbery, let me clarify that issue right off the bat. If you eat Clams, Mussels, Squid, Octopus, or any of those things that often get called "rubbery" when describing it, it was just overcooked. For some things, like octopus, it could also be under-cooked but that is a much rarer issue. 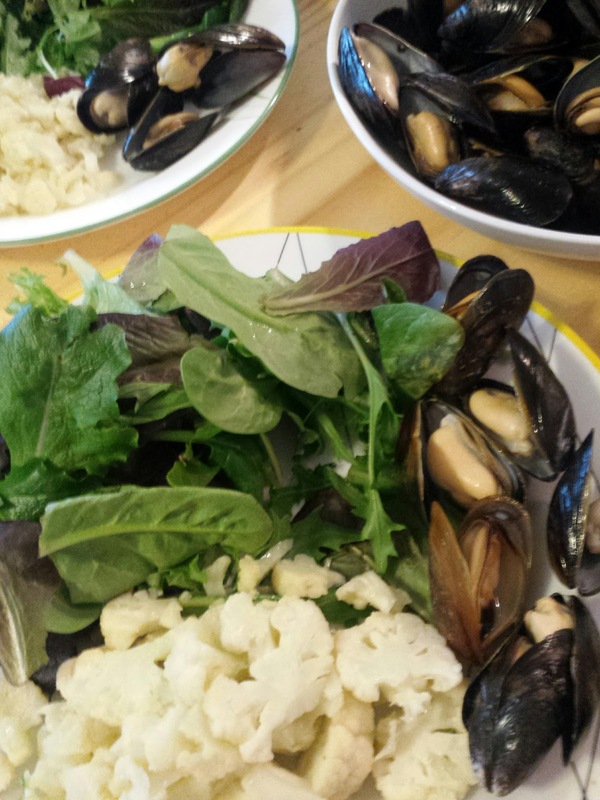 Mussels can be eaten pert near alone but you will want to supplement your meal with some veggies and a salad to keep your diet plan up and running. One of the best things about mussels is that it is communal, you start your meal with a few on your plate and end up just cracking them open after everything else has been eaten while just chatting at the table with all those loved ones you have decided to share this meal with. I had the pleasure of sharing it with a lovely women for New England who told me all about her experiences eating fresh mussels growing up. Here is a pic of the dinner I shared. In the foreground you can see the cauliflower I fried in clarified butter, which, incidentally, I also used to dunk my mussels in. I can not find one "bad" thing in this dinner, maybe the fact that I can not eat it every night, but I wouldn't want to do that anyway because variety is the spice of life. What are you making? Are you on a Paleo Plan? How can I be adding variety to my diet, I know I have plenty but I am always looking for more, send me suggestions and ideas, lets talk.